High Quality pliers/power/hand operated rivet clamps that can be speedily inserted and removed whilst ensuring uniform clamp loads. Most common sizes available from stock. New cylindrical body clamps now available for use in composites or metal structures for manual or robot installations. ATA manufactures and stocks a wide range of snaps to suit most types of rivet airframe applications and general engineering. 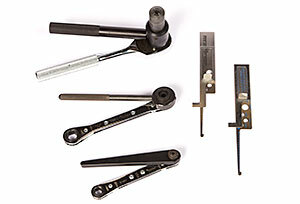 Available in a variety of shank options to suit all types of riveting tools. A range of recoilless and conventional hammers meeting virtually all riveting requirements from light fabrication to shipbuilding. Portable C yoke and Alligator jaw models. 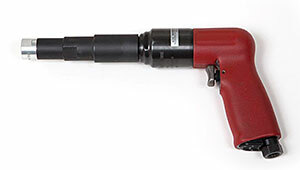 The tandem cylinder models are light and easy to handle and will set rivets up to 3/16" diameter. A range of 3 different types of milling tool with a variety of cutters for milling aluminium, stainless steel, monel and titanium fasteners enables ATA to provide a solution to most rivet milling problems. 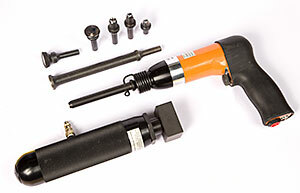 Hand and power operated tools and accessories to suit all sizes of these fasteners up to 1/4" diameter. A range of nosepieces only for installing or splitting collars on lock-bolt fasteners. The nosepieces are suitable for most popular types of power tool i.e. G-85 etc. Cutters are offered in conjunction with cages for countersinking aluminium, stainless steel and titanium. Precision micro-stop cages feature - 0.0005" adjustment plus secondary locking to maintain consistent depth control - rugged construction ensuring long life and reliability over many countersinking operations - and a range of nosepieces to suit varying applications. Cages are available with imperial or metric internal spindle threads. 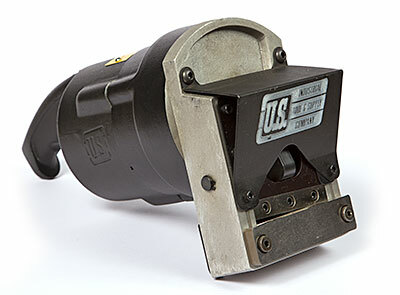 Countersink cutters are available with integral and removable pilots. The standard countersink angle is 100 Degrees, but other angles can be supplied to order. Available with locking pilots for back countersinking and spotfacing in aluminium, stainless steel and titanium. Right angle and offset drilling attachments designed for use with conventional drills in areas of limited access. 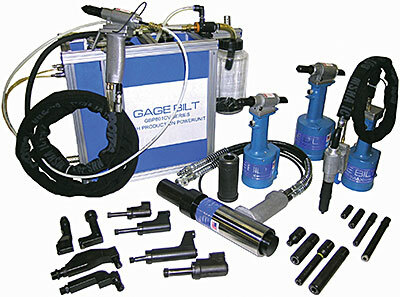 Offered with collets and drill adaptors to suit most common drill sizes. 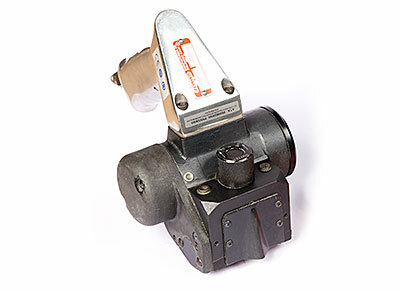 A portable pneumatic shear for efficiently removing router tabs and location lugs from aluminium, steel, titanium and stainless steel. 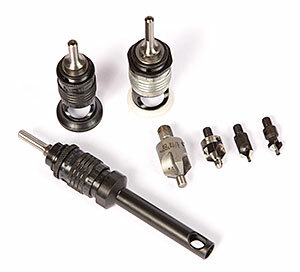 High quality precision tools offered in a variety of configurations up to 3/4" diameter capacity in aluminium with 1.1/4" countersink diameter and depth control. 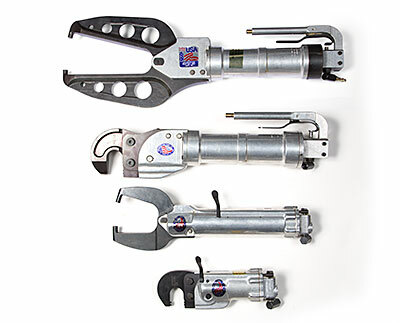 The right angle drive tools allow drilling operations in areas where access is restricted. Portable tools with micro-depth control for precision weld shaving on all materials and back gouging (non ferrous material only). They are particularly suitable for those applications requiring precision plus a good surface finish for subsequent X-Ray examination and crack detection.